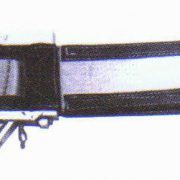 Remote Release Slings are used in the erection of wood beams and trusses. 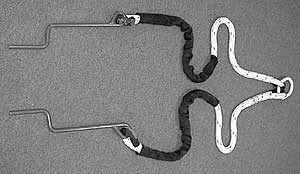 Remote Release Slings feature six inch, webbing. 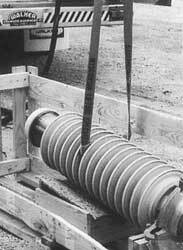 A steel choker fitting is attached to one end, while the remote release clamp is attached to the opposite end. 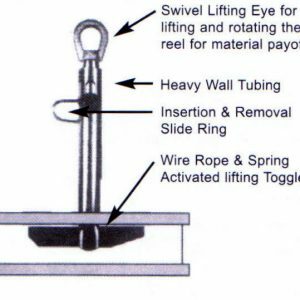 The release clamp facilitates an easy release of the sling from the load, eliminating the need to climb ladders or walk the beam to disengage. 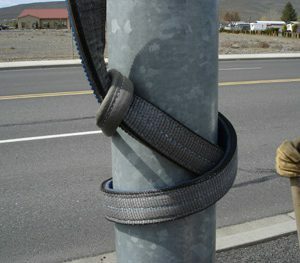 The sling is furnished with Monster Edge webbing for abrasion resistance. Cordura edge wrap and/or body protection is recommended to enhance the life cycle of the sling.Sling material, length and wear pad alternatives must be specified.